Kiss Your Asteroid Goodbye - Is Gaia Out of Gas? 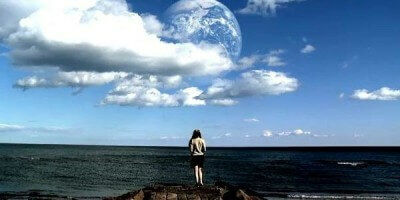 Home » Specials » Kiss Your Asteroid Goodbye – Is Gaia Out of Gas? Kiss Your Asteroid Goodbye – Is Gaia Out of Gas? There is nothing more holistic than viewing mankind as an integral part of the whole Earth. In a recent essay, Noam Chomsky wonders if we are at the end of human history on Earth. Consider Gaia Earth is a living being, a concept known to ancient Indian, Asian and earlier cultures. James Lovelock, now 95, Westernized the idea, coining the term Gaia Theory, describing Earth as a living, biological organism. In that sense, Earth is analogous to the human body. Earth has a circulation system, just like humans. It breathes, has a respiration system, like the Krebs Cycle. Earth “eats” and digests (rapidly or eventually) everything that exists on this big blue ball. It has a heartbeat (the Schumann Resonance) that can easily be detected, even from outer space. It has skin, often punctured for fossil fuels. Earth detoxifies, removes or isolates toxins just as do our kidneys and liver. The comparisons can go on. The one similarity that should worry us is that just like humans, Earth can get sick. When Earth is sick, it responds like the human body. Toxins build up and overwhelm the system. Arteries clog with poisons and detritus. Its breath becomes stale and smelly. It suffers tremors, sweats and flatulence. And like any other sick being, Earth runs a fever. That’s what’s happening right now. Earth has a fever. Like any other living body, the fever is caused by an infection. The type of “bacteria” infecting Earth is humanity. Too many humans are putting out too much toxin and the result is a very sick planet. The problem for humans is that we can’t survive the symptoms of Earth’s illness. The Earth might recover but civilization as we know it won’t. A foreseeable end Science, which stakes a reputation on being fact-based, plays fast and loose when it comes to reality. Put on a white lab coat, purchase a title and all of a sudden you can speak with authority, even if the claims you make are specious guesswork. In any case, science estimates (there it goes again, guessing,) that Earth is about 4.5 billion years old. That’s a lot of zeroes. A generous estimate says that human civilization owns about 10 thousand of those years since starting out in the Middle East just 10 millennia ago. Our kind has been on Earth only one/four-millionth of the years Earth has been around; a tiny, tiny, tiny percentage. Time-wise, we’re a drop in the ocean. We may be insignificant but even a minuscule microbe can wreak havoc on a body. By all indications, when we step back, we can see that Earth is in pretty bad shape. But like any body that is sick, natural defenses, including fever, are designed to eliminate the infectious microbe eventually. Well, take a look around. It’s beyond a tipping point. It’s downright free fall and there isn’t a parachute. The horse has left the barn. Most intelligent “guesses” are that Earth ain’t coming back from this, at least to what we know now. A human asteroid. The Intergovernmental Panel on Climate Change (IPCC) is a rather conservative body that tracks the state of the planet. The IPCC is not typically a group of doomsayers but in the most recent report they don’t shy away from the word. Their 2014 report is anything but optimistic. It seems we’ve gone over the edge. The ice is melting. The permafrost is next and most life as Earth knows now will be irreversibly gone by 2100 or so. Humanity is expert at eliminating species and the final one will likely be our own; nothing left but teeth and toenails and no one around to study them. The heavyweight that tipped the scale is humanity. Of all the species that have ever inhabited Earth, humans are the only one displaying the odious characteristic called hubris. We have intentionally departed from Nature’s way and the result will be our demise. Under the vast arc and timeline of existence that Earth supports, our footprint will be negligible but our impact immense. Human activity has become a blight upon the living planet and our destruction of species is but one indicator. Since the 1900s, more than 90 percent of crop varieties have disappeared from farms worldwide as farmers have left their multiple local varieties and landraces for genetically uniform, high-yielding varieties. 30 percent of livestock breeds are at risk of extinction; six breeds are lost each month. Up to 100,000 species are going extinct each year. The last time extinction raced forward at this pace was when a giant asteroid struck Earth and wiped out the dinosaurs 65 million years ago. It’s an anthropogenic cataclysm now and humans are the asteroid.